JOHANNESBURG - Facebook (NASDAQ:FB) has opened its first office in Africa to further the company's commitment to help businesses connect with people and grow locally and regionally. 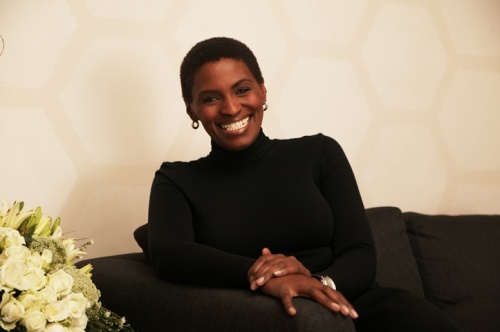 Based in Melrose Arch, Johannesburg, Facebook's newest business office will be headed by Ogilvy veteran, Nunu Ntshingila, the company's new Head of Africa. Facebook is already an important part of how people and business connect in Africa. This office will support the significant growth in businesses and people using Facebook - Facebook's active user population in Africa has grown 20% to 120 million in June 2015 from 100 million in September 2014. More than 80% of these people access Facebook from their mobile phones. "We are inspired by the incredible ways people and businesses in Africa use Facebook to connect. This momentum in Africa comes on top of strong advertiser partnerships and excellent adoption of our products across all regions. In Q1 2015, 52% of our total ad revenue came from outside the US and Canada. But we're just getting started," says Nicola Mendelsohn, VP, EMEA, Facebook. "Africa is important to Facebook, and this office is a key part of our strategy to expand our investment and presence across EMEA. Facebook is already a central part of people's lives in Africa, and with more than a billion people in Africa, we want to do more to help people and businesses connect." "Our new African office will support our customers across the continent. We know that a one-size-fits-all approach won't work when it comes to building products and solutions that address diverse needs on the continent, which is why we are committed to creating solutions tailored to people, businesses and specifically for African markets," says Ari Kesisoglu, Regional Director, MEA at Facebook. Kesisoglu continued, "Our priority for the next few months is to continue the work we are already doing with some clients in this region. We will work more closely with businesses and agencies to understand the challenges, so that we can build solutions that help grow their business. People increasingly want to be connected to the world around them and desire information about new services and products to better their lives. At the same time, businesses need stronger, more flexible and less fragmented ways of reaching people in Sub Saharan Africa. Our mission will be to connect brands and consumers in Africa, creating value for all parties in the process." Adds Mendelsohn: "We are delighted we have a strong leadership team in place on the continent led by Nunu Ntshingila, our new Head of Africa. Nunu will join our team in September of this year and work with businesses and agencies across the region." Nunu helped drive the creation of Ogilvy's network in Sub Saharan Africa, which spans some 27 countries. A graduate of the University of Swaziland and Morgan State University in the US, Ntshingila has also held senior positions at Nike and the South African Tourism board.